Normal shipping or freight charges apply to all orders and are paid by Buyer. We will ship to Worldwide. Items are released to the shipping department for dispatch immediately upon clearance of payment. Orders received by 2:00 pm Central Time are normally shipped the same day. Unless otherwise noted in the product listing details, all orders ship within 1 business day or we will notify you with an expected ship date. We strive to keep our customers informed on the status of their order. Shipping via FedEx Ground: Most orders weighing less than 500 pounds (net) are shipped by FedEx Ground directly from one of our Regional Distribution Facilities located in Texas, Georgia, and Oregon. We do everything possible to keep your shipping cost as low as possible. FedEx Ground shipping charges and discounts are calculated automatically at checkout and you always have the opportunity to review the shipping charge prior to completing the checkout. FedEx Ground Additional Discounts: FedEx Ground offers additional shipping discounts for COMMERCIAL deliveries (Non-Residential). The first additional discount is applied at 250 pounds, and then another additional discount is applied at 500 pounds . Discounts are automatically calculated at checkout based on your orders weight and destination. If you prefer, please Contact Us for a shipping quote, or for immediate assistance please contact Customer Service at (281)778-3223. Tips on minimizing your shipping cost: FedEx Ground Service rates apply to all COMMERCIAL ADDRESS deliveries. FedEx Home Delivery rates apply to RESIDENTIAL ADDRESS deliveries and may be slightly higher. The FedEx Home surcharge can be avoided entirely by shipping to a true Commercial Address whenever possible. As a "ship-at-cost" shipper, PTI reserves the right to add the FedEx Home surcharge to any order processed as a Commercial Address delivery, but is determined to be a Residential Delivery. FedEx uses the USPS database to make this determination. For Residential Home Delivery customers: If you would prefer to take advantage of the generally lower rates of Commercial FedEx Ground Delivery, you can request "Hold at nearest FedEx Location" during checkout; To utilize this service, you must add "Hold at FedEx Location" in the Company Name field of your ship-to address during checkout. If this FedEx service is available for your address we will process your shipping at the lower commercial rate. 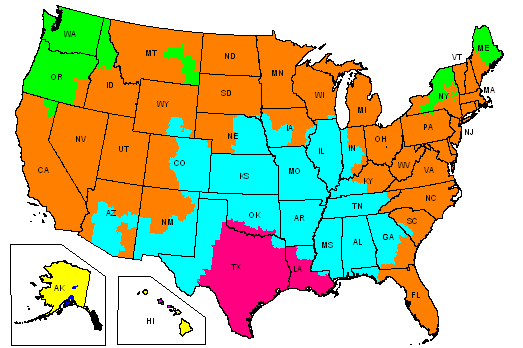 FedEx will hold your package for you at a convenient staffed FedEx location near you. We use FedEx Ground for most orders with total weight under 600 pounds. FedEx Ground is usually the lowest cost method available. Free Shipping offers: Occassionally Free Shipping offers may be available on our site. Free Shipping offers only apply to a delivery address located within the continental USA lower 48 States. Free Shipping offers do not apply to Alaska, Hawaii, or any other destination beyond the lower 48 States. Standard discounted shipping rates will apply. Shipping via FREIGHT: All orders of full pallet quantity or more are shipped directly from the factory by common Freight Carrier at prevailing rates and discounts without surcharge by PTI. Less than full pallet orders of between 500 and 1000 pounds may be delivered by common freight carrier or FedEx Ground; whichever is least cost to you. If you are not sure which method of shipping will be least cost for your particular order, select "Request for Freight Quote" during checkout. We will determine the least cost method available and contact you with the amount. Emails requesting freight quotes are typically returned within 1 hour during normal business hours. Shipping Department Business Hours are 8:00am to 4:00pm Mon-Fri Central Time. International Shipping: All bulk Canadian and Latin America shipments will be shipped by common freight carrier to a USA export terminal of your choosing. You (the buyer) will need to make all cross border import arrangements from that transit destination. Overseas orders are shipped containerized, directly from the factory at prevailing rates and discounts without surcharge by PTI. Please Contact Us or speak with one of our product support specialists by calling 281-778-3223 Mon-Fri 8:00am-5:00pm cst to discuss your requirements and logistics. Refunds & Returns: Refunds are offered if a customer is not satisfied. Returned material must be in sealed and merchantable condition. Requests for refund must be made within 30 days of receipt of the order. Returns will not be accepted without prior written authorization from PTI. Buyer is responsible for all freight or shipping charges associated with the return. A 20% restocking fee applies to all returns. If you have any questions regarding our shipping practices, policies, delivery time, or discount rates, please Contact Us by email or speak with one of our product support specialists by calling (281)778-3223 Mon-Fri 8:00am-6:00pm cst.